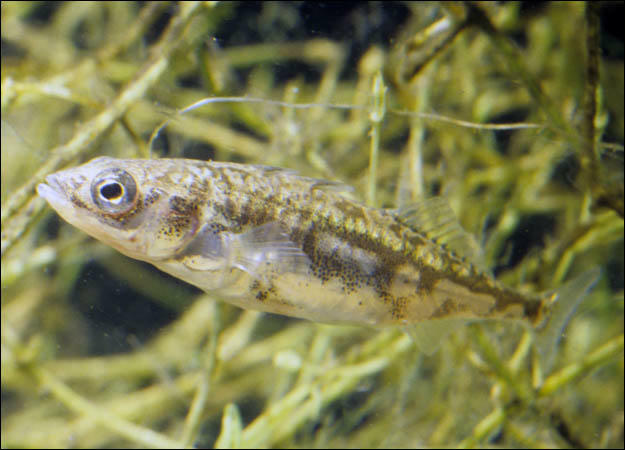 This scrappy little fish has a real game plan when it comes to attracting females: a secret, sticky weapon called "stickleback glue" (which is not something you'll likely find in the school-supplies aisle anytime soon). The male uses this secretion, which is produced by his kidneys, to create a "love nest." Once built, it's just a matter of time before the females come a-knocking, but they shouldn't get too attached. Once he knocks up a female and she lays her eggs, the stickleback kicks her to curb and starts looking for new booty. But this is no deadbeat dad: he keeps the eggs oxygen-rich and waste-free by fanning them at 400 beats per minute for more than half the day — now that's quite a workout!